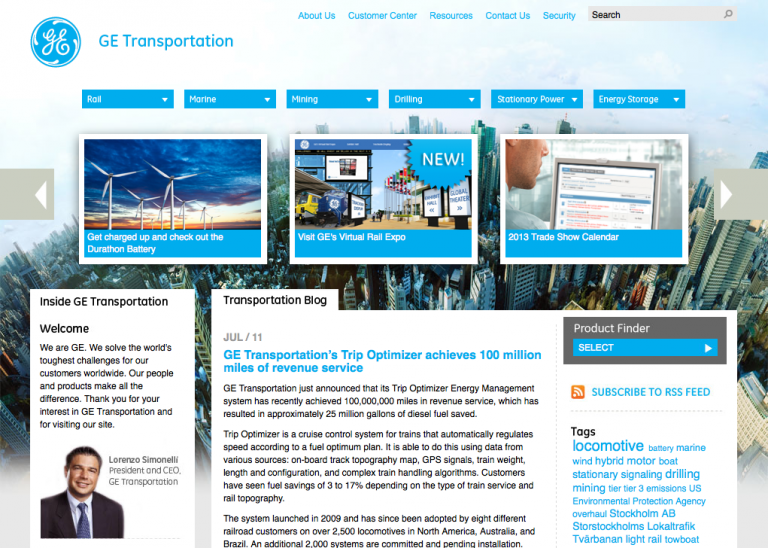 GE Transportation, a unit of GE (NYSE: GE), solves the world’s toughest transportation challenges. GE Transportation builds equipment that moves the rail, mining and marine industries. Our fuel-efficient and lower-emissions freight and passenger locomotives, diesel engines for rail, marine and stationary power applications, signaling and software solutions, drive systems for mining trucks, and value-added services help customers grow. GE Transportation is headquartered in Chicago, IL., and employs approximately 12,000 employees worldwide.